【Truly Wireless Headphones & Leading Bluetooth V5.0】 ►►No wires enjoy the true wireless earbuds. No more wires bouncing, tapping, rubbing, or stuck to your neck. 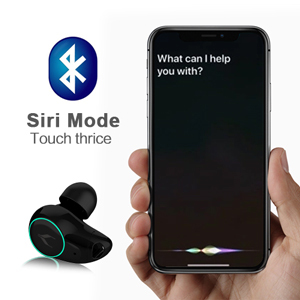 ►► Bluetooth 5.0 + exclusive chipset, offers fast speeds, stable connectivity (operation Range up to 10 Meters/33 ft), High-Fidelity Sound, and Lower energy consumption to get Longer play time. 【Long play time & HI-FI Stereo Sound 】►►Portable 1000 mAh charging box provides quick charge and 8 times full charges. Bluetooth headphones wireless are up to 2-3 hours of playing time when fully charged. ►►High-quality speakers with customized HI-FI sound unit, enjoy incredible sound quality with bass without being disturbed by noise. 【Convenient Touch Control & Breathing Lamp】►►No more the small buttons which are difficult to operate. Easy to operate only need to touch lightly.►►Customized Breathing Lamp, cool & fashion, safe at night when you are outdoor. 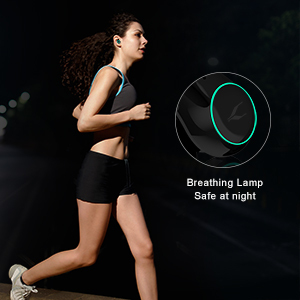 You can also check whether there is a problem with wireless earphones according to the breathing lamp state. You can turn it off by touching about 5s. 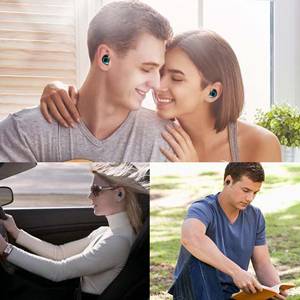 【Stable fit & IPX5 Water-Resistant】►►No need to worry about MYCARBON bluetooth earphones will fall out of your ear, Lightweight design (Only 5 g/0.16 ounces) and customizable the shape of the ear, give anyone a strong and comfortable fit. Fit for Sports, Running, Cycling, Gym, Travelling and More. ►►IPX5 waterproof makes you can run in the rain or sweat it out in the gym. 【2 Sound Modes & Wide Compatibility】►►Stereo and Monaural Modes. 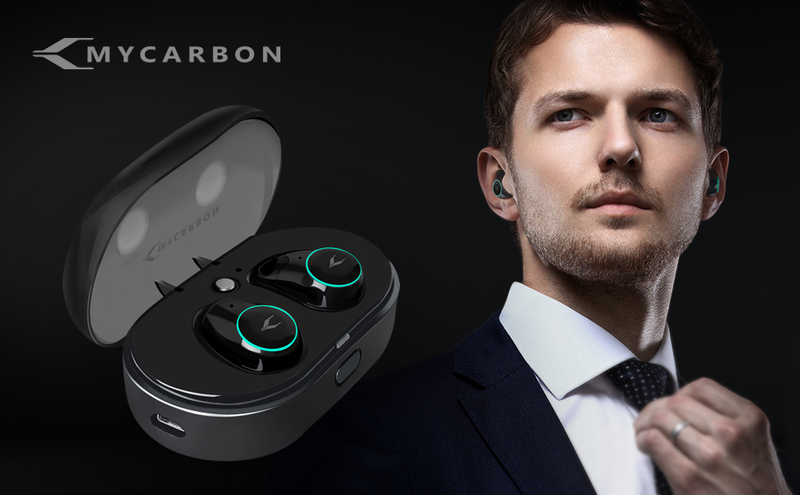 MYCARBON Bluetooth earbuds can work together or separately, you can only use one or enjoy the stereo sound by using them together. ►►Compatible with Most Bluetooth-enabled Devices such as iPhone, iPad, Tablet, Samsung, Huawei, and most Android Phones. ►►12-month warranty, lifetime support and friendly customer service. Without the cable mess, Enjoy the wireless charging, wireless music listening, and wireless calls. Clearer Sound and Stable Bluetooth connection. Easy to Pair, never need to worry about the left earbuds couldn't connect with the right one. - When the charging case is fully charged, it can provide 8 times quick full charge for twins wireless earphones. 3. When the power is full, it will stop automatically. After successfully pairing with each other, you can use this twins wireless headset together with yourself. When using this mode, you will enjoy the high-quality stereo sound listening time. Share with your families or friends to enjoy the music or film. Press for 5s on the earphone which you want to close. By the Bluetooth device which it connects to, mobile phone, iPad, computer etc. - IPX5 nanocoating ensures complete defense against sweat or rain. 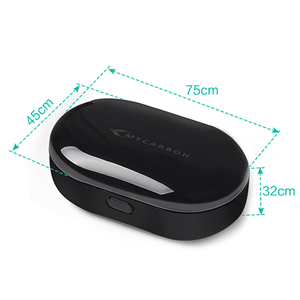 - Only 5g, super small and lightweight, with the customizable fit,provide a sturdy, comfortable hold. You can turn it off).